Container growing maximizes garden yield by creating garden spaces where plants cannot be grown in the ground. Many kinds of plants can be successfully raised in containers, from carrots and broccoli to fruit trees and watermelons -- the only limitation is the size of the container. Sugar Baby is a watermelon cultivar suitable for container gardening, owing to its compact nature and relatively small fruits. Growing this plant in containers make regulating its environment much more precise. 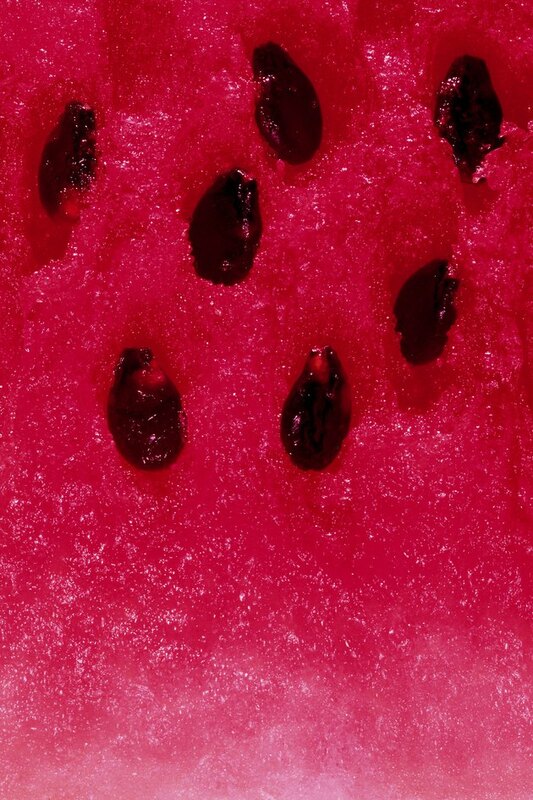 Sugar Baby watermelons have succulent pink flesh and dark rinds. Select a well-draining pot with a minimum diameter of 16 inches for each Sugar Baby watermelon you wish to grow. Line the bottom of the pot with a screen or a 1/2- to 1-inch layer of gravel to slow soil erosion. Fill the remainder of the pot with a high quality potting mixture, leaving about 1 inch of room between the soil level and the top of the pot. Open a hole the size of the transplant in the center of the pot using your hands or a small trowel and place the Sugar Baby plant in the hole, just below the level of the soil. Firm the dislocated soil around the transplant and water thoroughly. Water the plant each day until the soil is moist and water comes out of the bottom of the pot. Apply fertilizer weekly once the transplant has begun to grow. Train the vines over the sides of the pot to allow more space for fruits to develop. Watch for immature fruits to begin to form on the plant. Support any hanging fruit by tying them up with nylons to a small trellis beside the pot or placing a box or other solid support under them so they have a place to rest without risking their weight tearing the fruit from the vine. Continue to water and fertilize while the fruits grow. 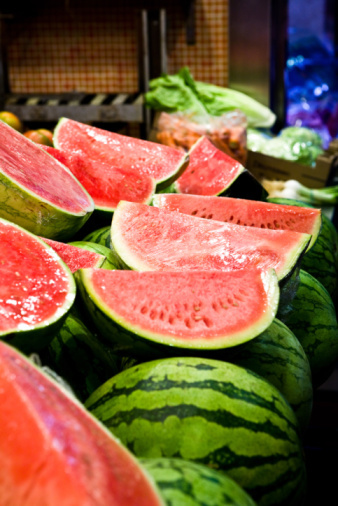 Select ripe fruits by observing the color of the melon and the color of the spot where the fruit rests. Sugar Babies are bright green with stripes when immature, ripening to dark green. Watch for the spot where Sugar Baby watermelons rest against the soil or pot to change from a pale white to a bright yellow. 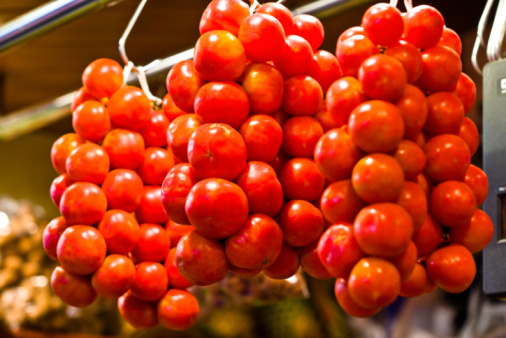 Cut the fruit from the plant with a knife, leaving 2 inches of vine attached.